This year the Berlinale NATIVe programme focused on films from around The Pacific. I thank the Berlinale for highlighting our region and for valuing our stories. Meeting the other filmmakers, participating in the panels, sharing stories – having a platform to be heard was so important. To be able to share BLACKBIRD to discuss, to give recognition to our stories was a great honour for me and my community. The first screening of Berlinale NATIVe shorts programme took place at the Cinestar IMAX as it was an amazing turn out with wonderful films, an engaged audience and a thought provoking Q&A. Amie Batalibasi (right) at the BLACKBIRD screening for the NATIVe Shorts with filmmakers Jeremiah Tauamiti (“Liliu”), Kamila Andini (”Memoria”), Justine Simei-Barton (“Snow in paradise”). Image: Jan Kraus – Courtesy of Berlinale. Whilst at the Berlinale, I participated in a panel at the Embassy of Canada: “Island Dreams, Island Realities: Indigenous Filmmaking in the Pacific” with other panelists Jasmin McSweeney (NZ Film Commission), Jay Tauamiti (LILIU/ FOR MY FATHER’S KINGDOM), Ciara Lacy (OUT OF STATE), and moderator Marjorie Bendeck. Upon reflection, I’ve realised that I’ve never been able to talk about filmmaking in the Pacific Islands on a platform like this – at Berlinale on an international stage with filmmakers and professionals of this calibre. I feel like I learned so much over the hour or so we were up there discussing and I hope that we can continue to talk about the difficulties, challenges and the many positives across the filmmaking landscape in the Pacific Islands. 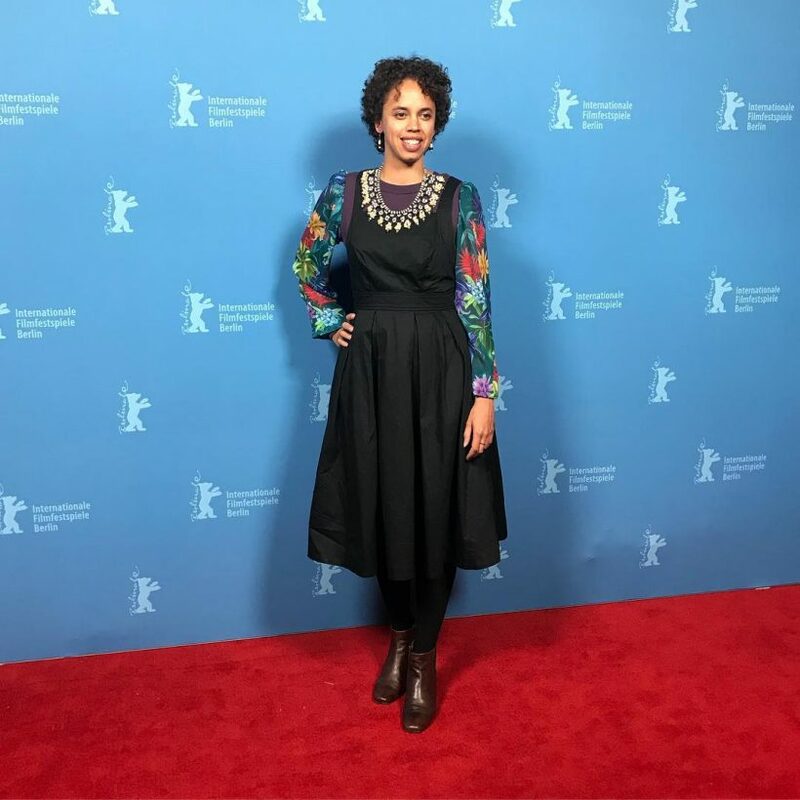 It was such a joy to bring BLACKBIRD to the Berlinale – a career highlight in fact.